Hey, Lawnmower Man! 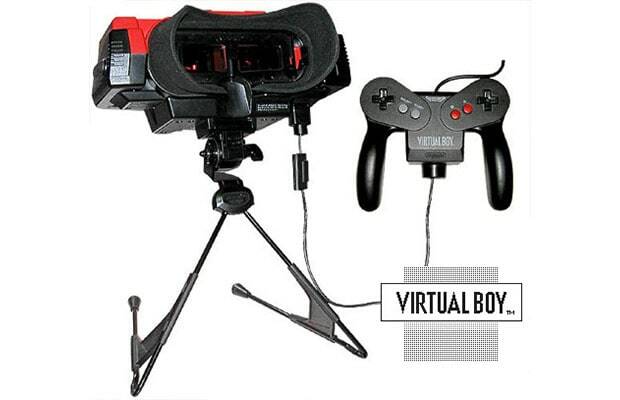 Nintendo's first flirtation with parallax 3D, the Virtual Boy went over like a wet fart in church. Really more of a console rather than a controller, the Virtual Boy worked by making you sit completely still with gigantic plastic goggles on, staring into monochromatic red graphics for extended periods of time. Good times!